Reply 'To Mr. Thomas Duncanson Surgeon at Forres, for Mrs Duncanson'; the patient is his wife. Also mentions his brother, James Duncanson, in Virginia. 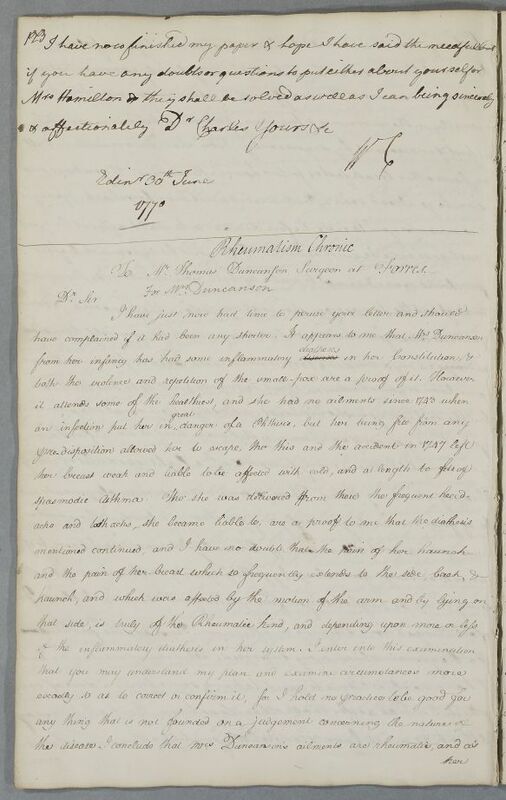 Summary Reply 'To Mr. Thomas Duncanson Surgeon at Forres, for Mrs Duncanson'; the patient is his wife. Also mentions his brother, James Duncanson, in Virginia. Case of Mrs Duncanson with pain in her haunch and breast. Case of Mr James Duncanson in Fredericksburg, Virginia who suffers from various disorders, including varicose veins and stomach problems, all attributed to a weakened constitution. 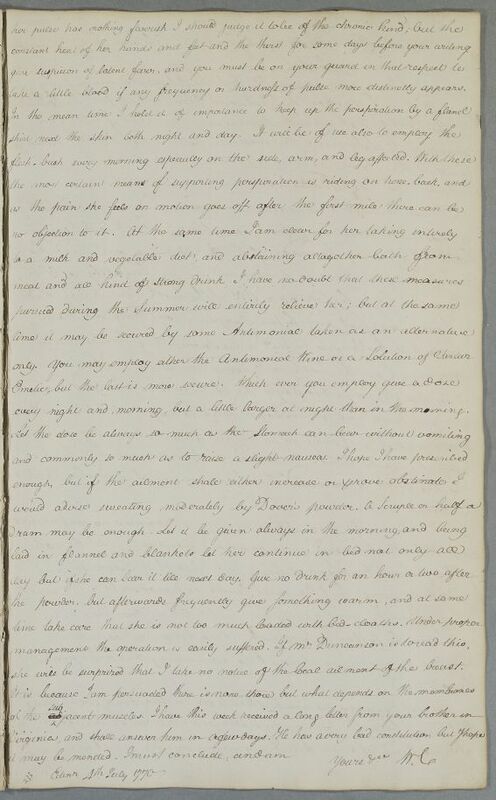 To Mr. Thomas Duncanson Surgeon at Forres. take a little blood if any frequency or hardness of pulse more distincly appears. every night and morning, but a little larger at night than in the morning. she will be surprized that I take no notice of the local ailment of the breast. 1: Untraced, but see Letter ID:106.